Fiction on Location - silkestein's JimdoPage! Last August I wrote a blog post about real-life places that inspired literature. Now, I can add another spot to those enchanted spots that capture an author's imagination and don't let go until they are immortalized in written form. Fort Bragg's magical Glass Beach in Northern California. Jamie Torrey spent a fun-filled Saturday morning on location and not only did she take the lovely photos shown in this post, she also brought with her a gorgeous story-themed resin piece that she especially made because she enjoyed the book so much. 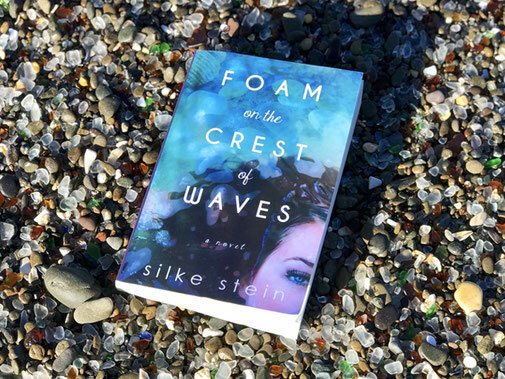 "I had the chance to read Foam on the Crest of Waves before its release and loved it! 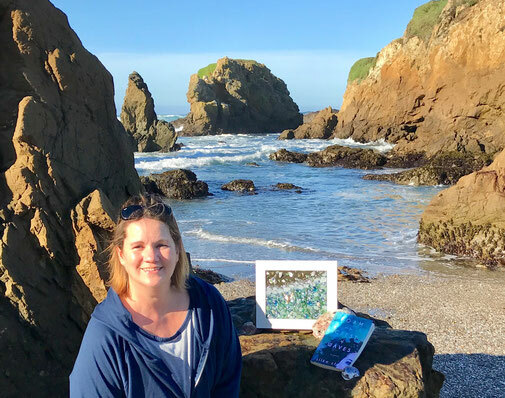 I have been lucky enough to visit Fort Bragg several times in my life and Silke captured the endearing beauty of this small coast community perfectly. 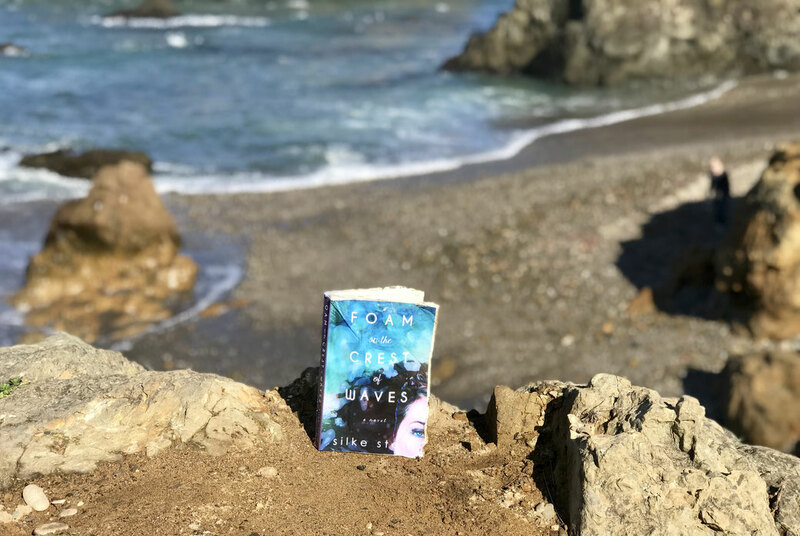 The captivating tale of mystery and intrigue mixed with the beautiful ocean setting is a wonderful, face-paced read that I couldn’t put down! It inspired me to create this piece. Many elements of the story are represented in it." 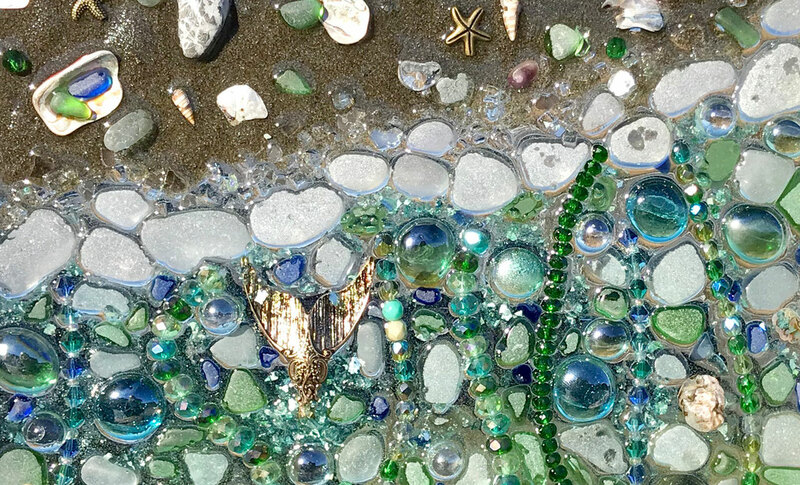 Jamie has been collecting sea glass for over ten years all along the California Coast. "These beautifully rounded gems have always mesmerized me. After ten years, my collection was quite robust, and I decided I needed to do something with my sea glass. So I started making art resin with it. I use sea glass, art beads, and whatever strikes me in a piece. 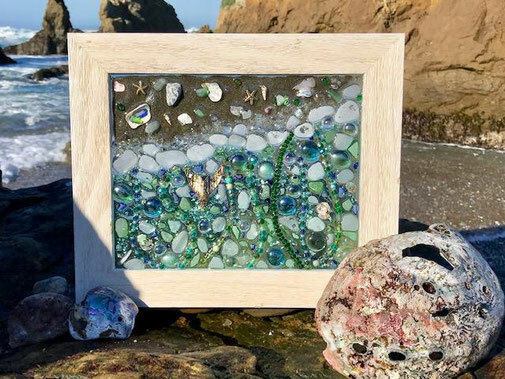 Each piece of my art is unique and made with authentic sea glass, collected by me." 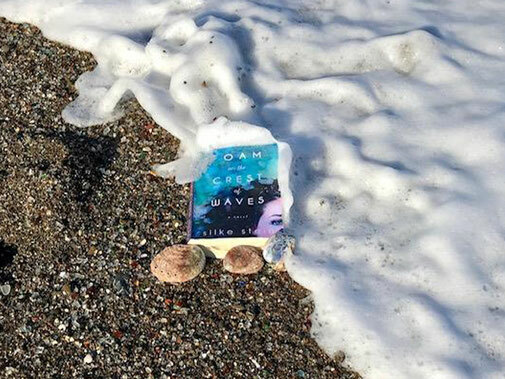 We have come full circle: first the beach inspired the story; then the book inspired a piece of resin art; then both visited the place that sparked their existence. And to celebrate this memorable event, the sea donated a batch of abalone shells. 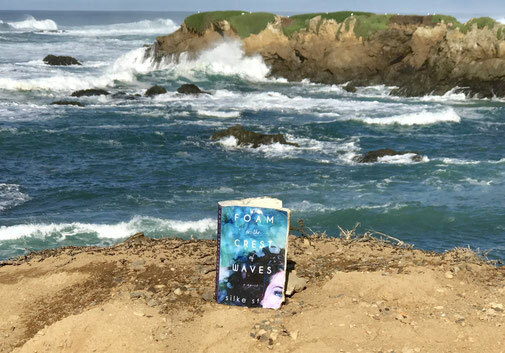 As the main character of Foam on the Crest of Waves, a young teenage girl who loves to dive and make sea glass jewelry, is named Abalone, we can only conclude that Glass Beach was very happy that morning.